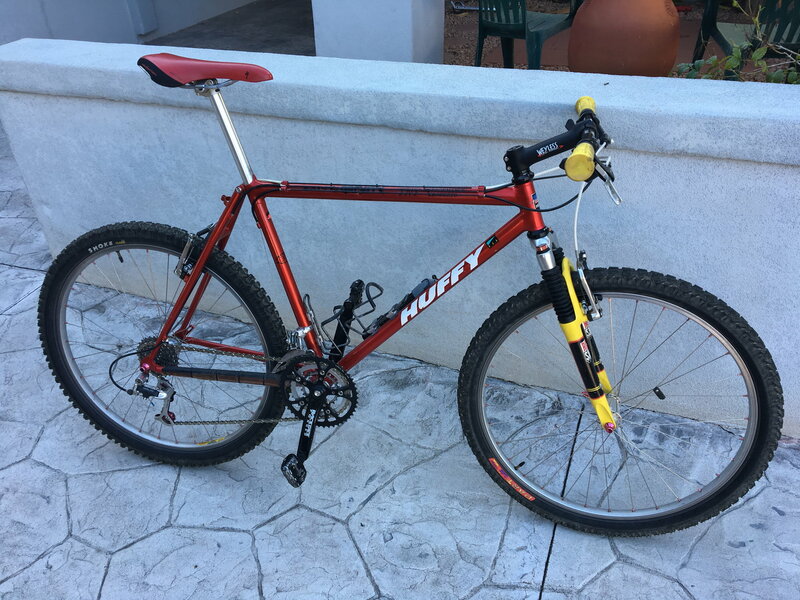 of all of my bikes, parts and the stuff I still want. chain across the north valley. I still have the original phone number on that black Tshirt! - 2006 Specialized Allez Pro (E5 w/carbon seat stays), modified. - Steelman ElGato 18.5" 26" MTB, currently built 8-spd XT & Indy SL. Framesmith Candy Apple Paint. - '95 Kona CinderCone 20" vintage build 7spd XT top shifters, Murray fork & slicks. Welcome to Bike Forums Steve. I can't wait to see your COLIAN! Appreciate the old bikes more than the new. Welcome! I'm headed down to Scottsdale next week and borrowing a bike while I'm down there. Perhaps you know of some good road routes in the area that could help you get your 10 posts? I've been there before and ridden to Bartlett Lake, Cave Creek, and around the Troons which were all nice rides. Have any other suggestions for similar routes/lengths? ... Have any other suggestions for similar routes/lengths? Thanks for the reply! Fountain Hills and the back-end ride through Rio Verde is fun, but a bit twitchy on the FH side. Still, bustin' 45mph plus is kinda fun. Last time I did that was on my '89 SLX Bianchi. when it's closed to car traffic. Funny that you also have a '12 Cervelo...I'm selling my 56cm P2 if anyone asks. Yes, yes...Pictures of everything back here once I get my 10. 1. Take it down & part it out: Forums first, FB & Nextdoor second, Craig’s list & eBay third). 2. Sell it as it sits. 3. Keep the frameset as a hanger and sell the rest. 4. Complete the group (with or without OG hubs) and keep/ride it. 5. Complete the group and sell it. 6. Sell what’s on it, cold set the rear to 130, build it up with modern goodies and RIDE (it’s 56/56cm, my size). Post what you want here for kicks & giggles and I’ll re-post the poll in the vintage forums in the Colin Laing thread...with pics!! You could ask your mechanical questions in https://www.bikeforums.net/bicycle-mechanics/ and the time spent there should get you in image posting mode. Welcome to Bike Forums and hope your ride is a long one! You could ask your mechanical questions in the bicycle mechanics forum! This is how I got it on 600 hubset a 105 rdrl and FrankenRTXshifters. Welcome. I can’t wait to see pictures of your Steelman! You found that bike at Play It Again Sports? Sort of...It’s a locally owned independent used sporting goods shop in N. Phoenix. They routinely post some of their jewels on Facebook Marketplace; I was in the shop right after it posted! Thanks for the tips on the rides. 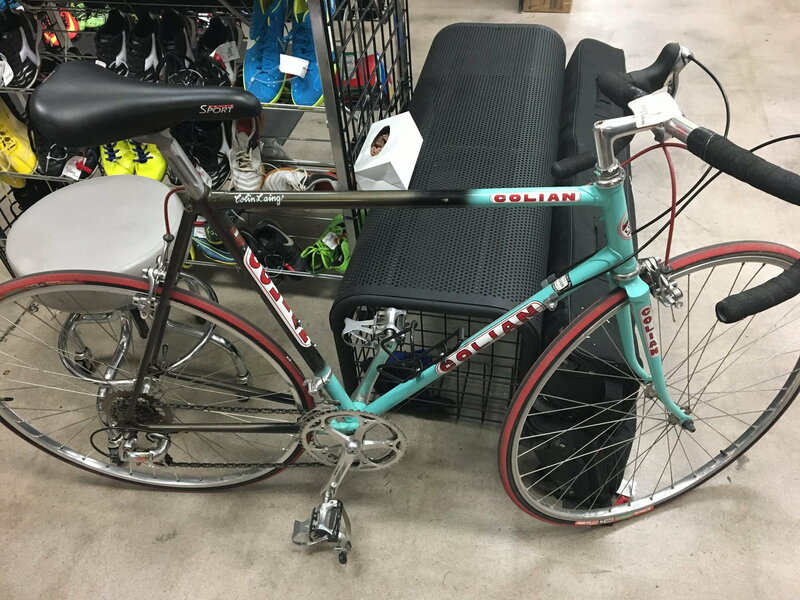 Nice Colian bike! Had not heard of that builder before but what an epic find! My recommendation would be 4. Complete the group (with or without OG hubs) and keep/ride it. More bikes = More projects!